Wounds that Bind: Exhibition Review - Willie Doherty: 'Loose Ends' Kerlin Gallery, Dublin till 19th Oct 2016. 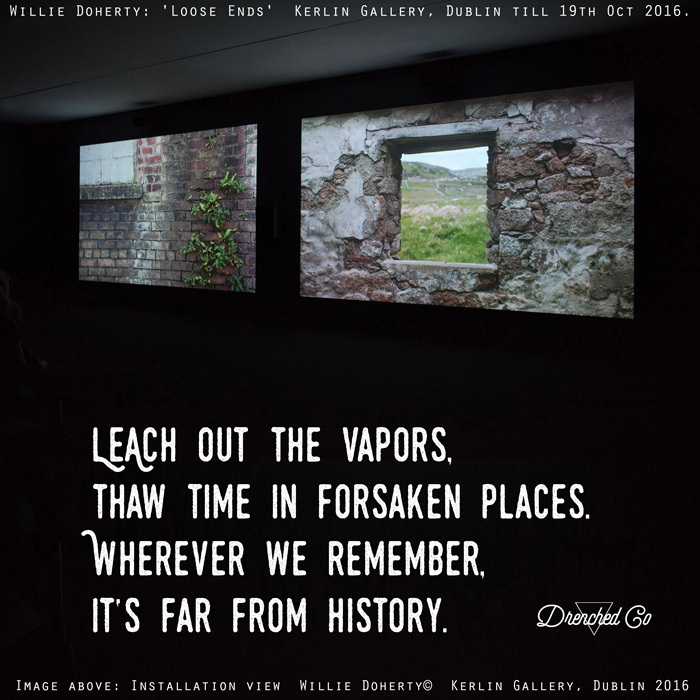 Exhibition Review - Willie Doherty: 'Loose Ends' Kerlin Gallery, Dublin till 19th Oct 2016.
thaw time in forsaken places. Image courtesy of the artists and Kerlin Gallery, Dublin.